While every bar and bat mitzva is unique, Isabelle “Izzy” Rosenstark’s stands out as one of the more unusual. Izzy graduated from B’nai Shalom’s religious school last spring. She currently teaches preschoolers at its Sunday school and is a member of the congregation’s Kadima chapter. Her father, Michael, has a long association with B’nai Shalom, having celebrated his own bar mitzva there. 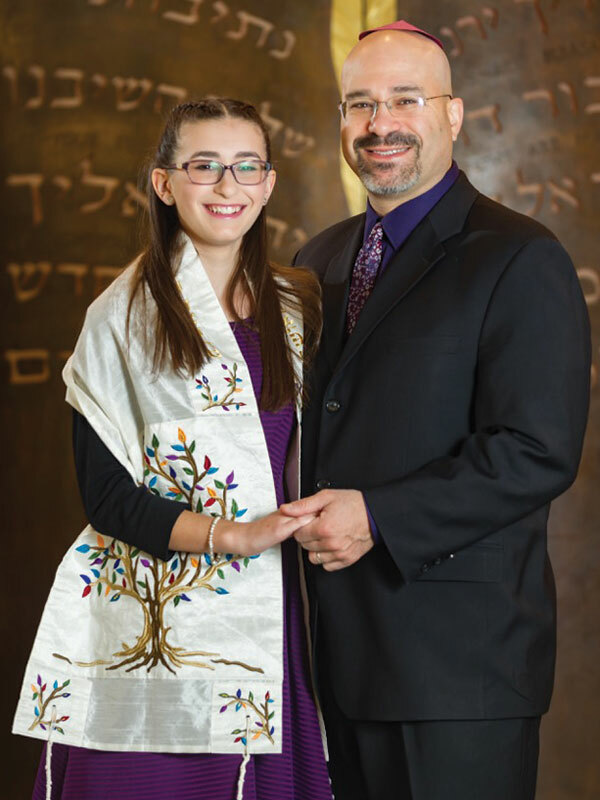 Izzy’s mother, Marci, is a self-described “tree hugger at heart.” In planning the bat mitzva, the family was looking for ways for the occasion to stay “green” and honor the environment. When it came to the kipot, Marci couldn’t find anything that fit the bill. She posed her dilemma to members of a b’nei mitzva brainstorming group on Facebook, where she was directed to Circles of Life by another mother. “There are so many homes in our area that have a drawer full of kipot. Both Izzy and I loved the idea that the kipot wouldn’t end up stuffed in a drawer,” said Marci. 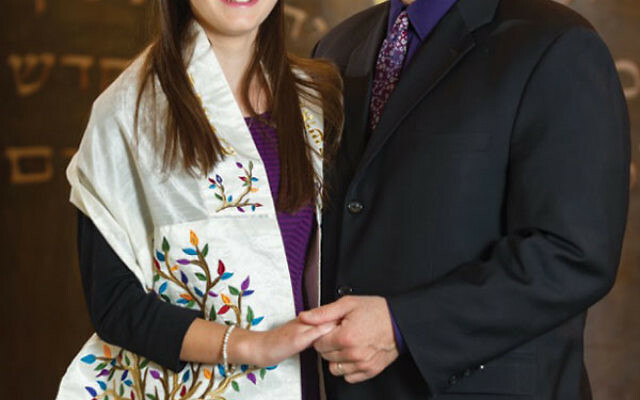 When Marci asked Rabbi Robert Tobin, B’nai Shalom’s spiritual leader, whether there would be any issues with using the kipot, what she thought would be a “15-second question” became something much more complicated, a question as to whether the kipot violated the Halacha (Jewish law) of carrying or doing agriculture during the Sabbath. “On Shabbat, we don’t do 39 things, [many] of which have to do with agriculture. This includes planting seeds, as they fall into the category of muktse, one of the forbidden actions on Shabbat,” explained Rabbi Tobin. “The question I had to ask myself was whether the kipot, which have seeds implanted in them, were planters, and therefore muktse? Or were they objects whose primary use is permitted on Shabbat, like wearing a house key on a brooch on one’s clothing? Once they had the rabbi’s okay, the family tested out the concept. Last spring, Mathew, Marci’s brother, potted the samples sent by Circles of Life, which ultimately bloomed into colorful wildflowers. The Rosenstarks placed their order for 200 maroon and gold kipot. In order to provide their customers the freshest seeds, the company delivers the order two weeks prior to their date of use. But how were they supposed to stay on your head? After several failed attempts, Marci came up with the solution: regular kipa clips or double-sided sticky dots with tabs that could be pulled off before wearing the skullcaps. Not surprisingly, when Izzy’s guests and members of the congregation arrived at the synagogue, they didn’t know what to make of the kipot. Many were left on the table outside the sanctuary. By the time Rabbi Tobin finished explaining their significance, there wasn’t a kipa to be found. “People wanted them so badly, it was a ‘beg, borrow, or steal’ situation,” laughed Marci. Izzy still plans on planting the few remaining kipot with her preschoolers this spring.